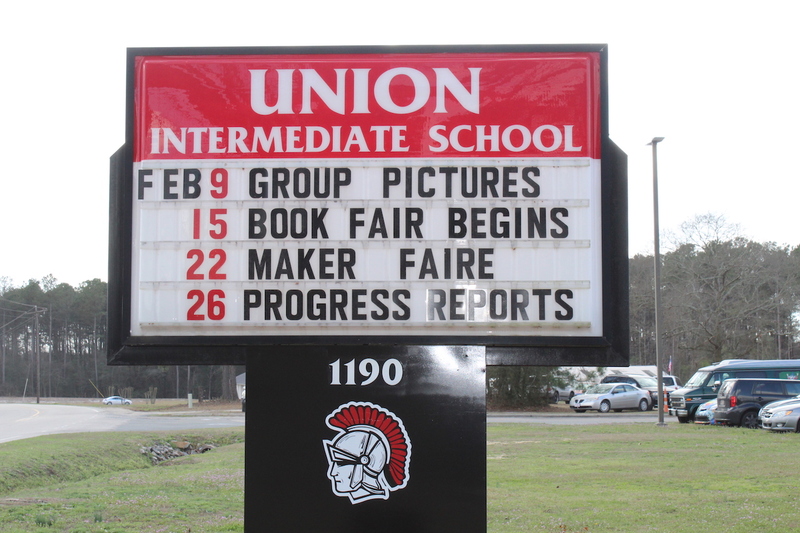 Recently, Splat Space had the honor of being invited to and attending a school Maker Faire at Union Intermediate School in Clinton, NC. 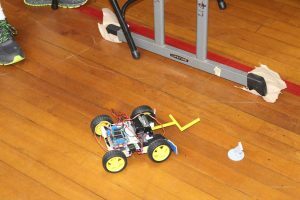 We were contacted by the school librarian, Caren Long, who had gone to Wake Tech Mini Makerfaire and had seen us there and wondered if we’d be interested in helping fill out her own Faire she wanted to host at the school. Of course we said yes! Clinton is a small town about an hour and 40 minutes southeast of Durham. It is a very rural community surrounded by farmland. We were informed by Caren that the school surprisingly has a very diverse population of students and many of the kids are bilingual. This is maybe not what might be expected from a rural community in North Carolina. A big game of operation using pie plates, foil and metal tongs! The UIS Maker Faire was held in the gym and there were quite a few other exhibitors there with Splat Space including Legos for Kids and the IEEE Mobile Outreach Vehicle. On one side of the gym the kids’ science projects that were being judged were on display. 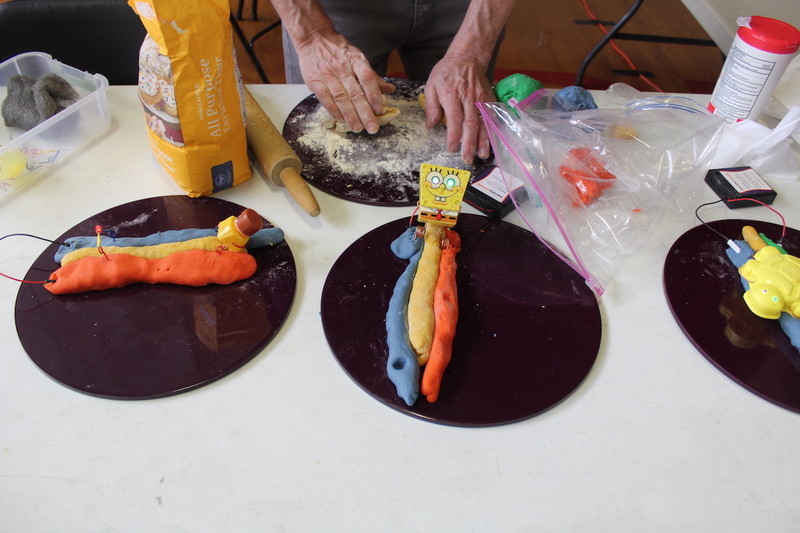 The projects were really fun to look at it and the subjects really ranged. 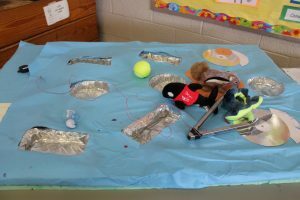 There were so many great projects, including a giant game of Operation, using metal tongs and aluminum pie plates as part of the game board. 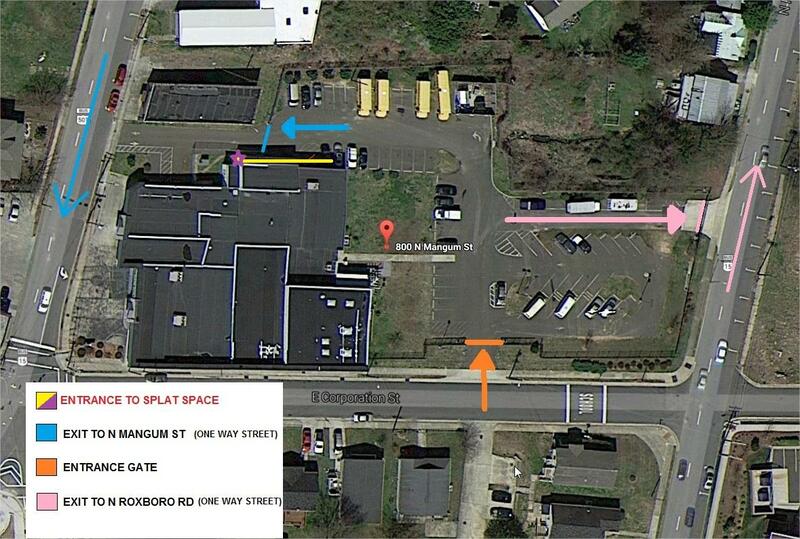 Splat Space had three stations set up. 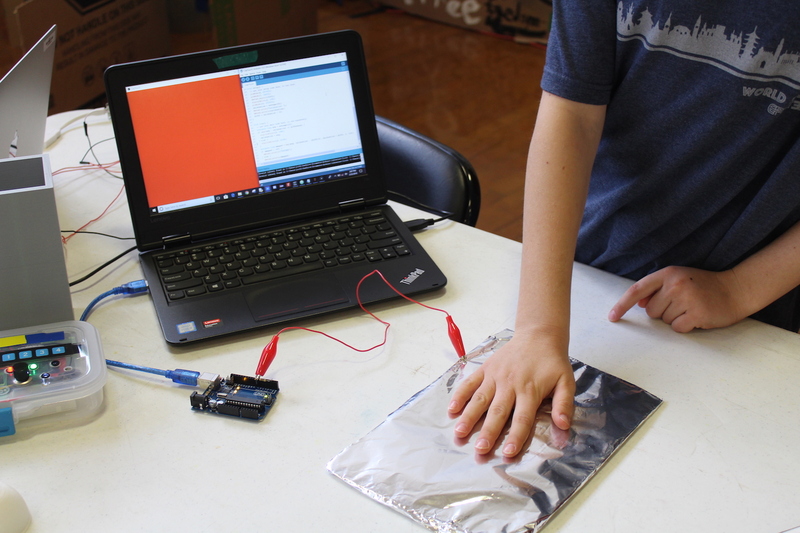 On one table, Ben, one of our youngest members , brought 3 projects to display: a proximity sensor that showed a different color depending how close a hand was, games he wrote himself running on an Arduino with a graphical display and an RC car that he was controlling with his laptop! Pete S. had squishy circuits to play with and Dawn had her “Blues Bubbler” keyboard display set up. 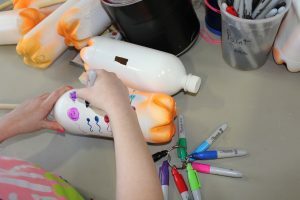 On the next table Shannon had “Bash The Trash” set up where kids could choose to make wind whistles out of plastic bottles or noisemakers. 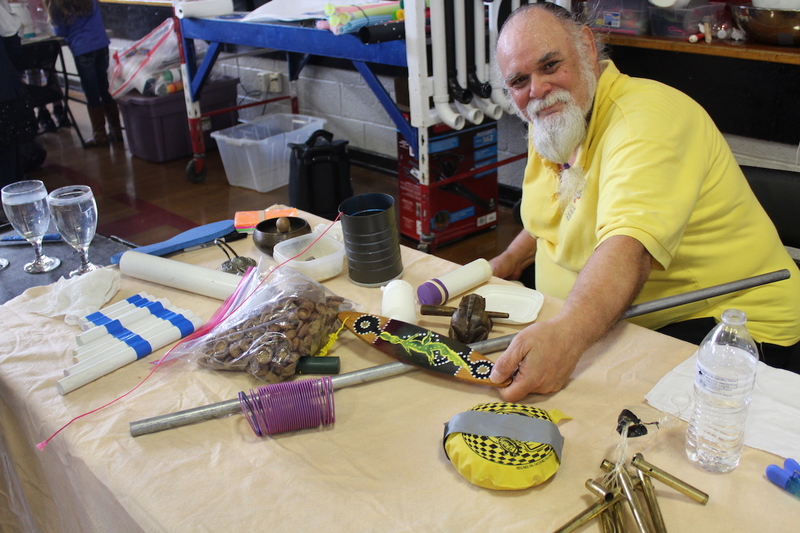 The next table was dedicated to our member Tony Abbate, aka The Science Wizard. 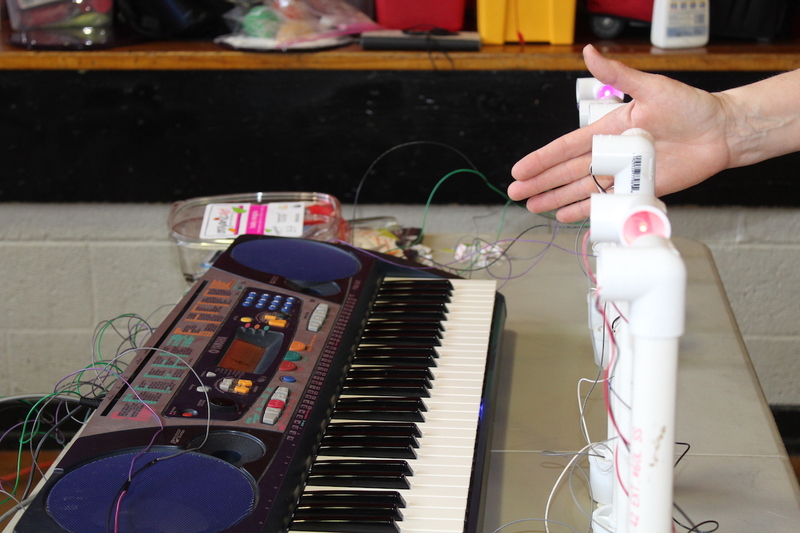 He had a theremin and lots of other noise making items to have fun with and learn about. 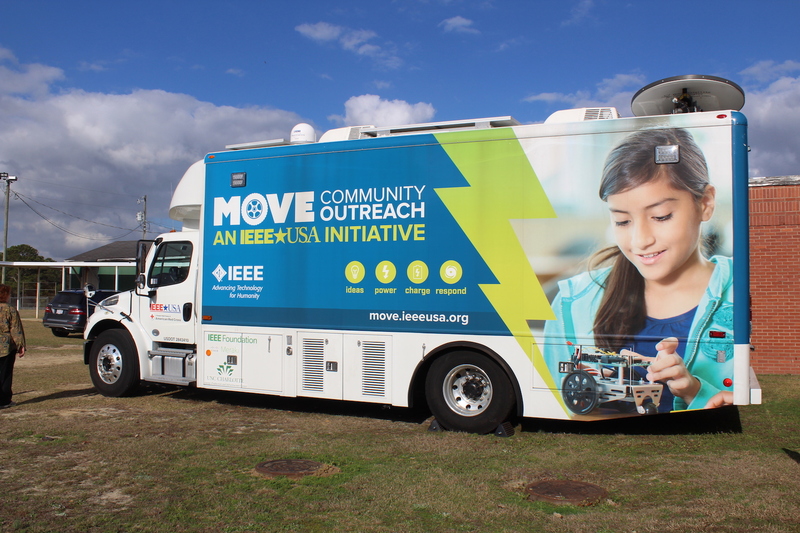 On the school playground, the IEEE Mobile Outreach Vehicle was parked. This vehicle is called out by the Red Cross to help provide infrastructure after a natural disaster like internet access, phone and device charging and even lighting to victims as well as the disaster response workers. 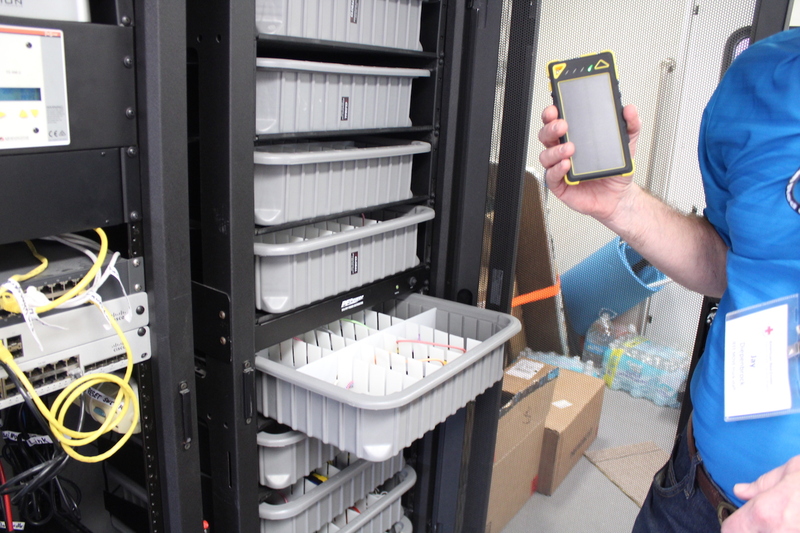 The vehicle has an array of power options for charging phones and other devices as well as satellite internet access to be able to provide wi-fi when everything else is down. 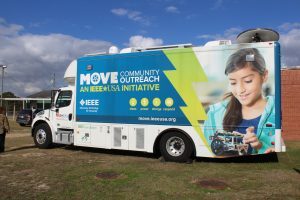 It was recently deployed this last fall to help victims of Hurricane Irma. 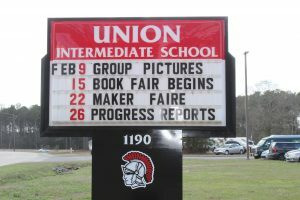 It was an honor to be invited to the fun at Union Intermediate School! We had so much fun and it was a great day. Union Intermediate School is doing amazing things serving the kids in the area and seeing the kids’ projects and their creativity was great. Thank you to UIS for having us!